Looking for a set of factory heat exchangers, j pipe and crossover, stock ic, stock ic shroud, stock oil drip tank. 1988 930, thanks! 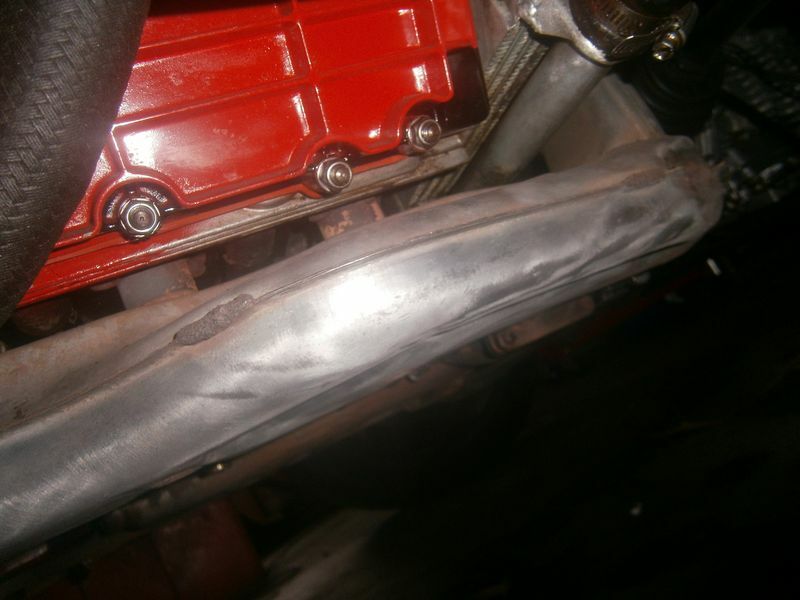 Got pics of the exhaust setup you are looking for? I think I may have the exhaust and drip tank you need. What type of condition are you looking for? Mine are far from perfect. Just the stock stuff, I'll clean it up. Is this for your newly bought car? If so, what is on there now ? I don't have the parts you need, just curious. My stuff look like this, before the turbo. I'll let it go cheap since they have met pavement a few times and show the scars. I also need to extract my $1000 wastegate from them. I can get you some detailed pics early this week. I'll send you a PM. oh good dear lord why!?!? It has a bb ic and bb headers muffler, converting it to stock ish down the line. Last edited by Tt surgeon; 02-09-2014 at 05:23 PM..
and ^that's^ a bad thing b/c? I think its a great idea to go stock if you intend to sell it down the track, you WILL get more for it, the cost of buying factory parts will return tenfold when car goes to sell. My car came with am parts installed, I'd just like to have the stock parts. Bobby, those are early exchangers, I need the later ones pictured above. Rob, gimme some of what yer smoking (those commonly go for around $300-400 on ebay). I've got this nice set off an '87, should bolt right up. A minor problem they're still on the car and need just a touch of cleaning. Got the muffler and cat too (the cat was stored inside, and the muff now has a nice patina and subtle eau d' BBQ aroma. Mark H. 1987 930, GP White, Wevo shifter, Borla exhaust, stock everything else. The result of a massive Pelicanite good will fire recovery effort. Truely an open book, ready for the slippery slopes to modification. oh yeah mines a 3.0, they wont fit that car so forget i said anything..
You missed these buddy boy!